Desc: Sterling Silver enamel Red Fox pin/pendant. 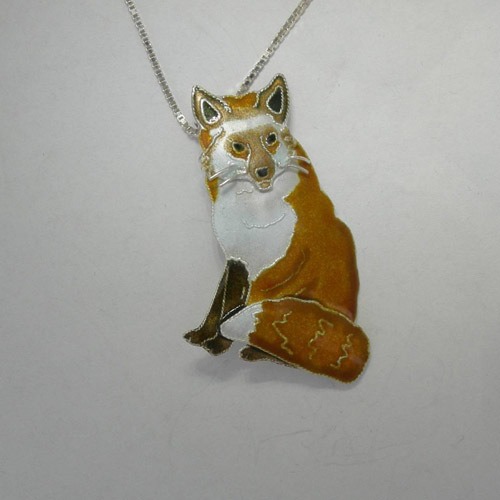 The Red Fox can be worn as a brooch or as a pendant. The Red Fox has vibrant golden-redish brown, dark brown, white and black enamel. The whiskers are fashioned from Sterling Silver wires. The Fox is seated and has the tail wrapped around the body. The necklace has a bright polish finish.